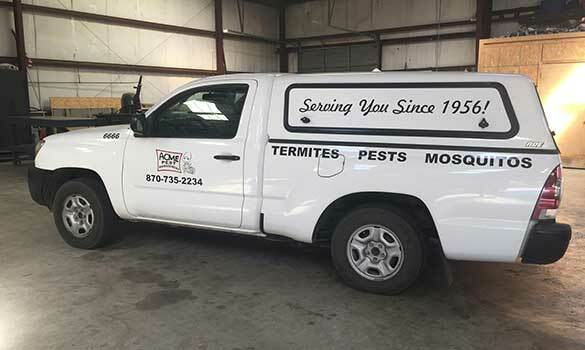 ACME Pest Management Inc. is a third-generation, family-owned business and proud to be a leading pest control company in the United States. Since 1956, we have provided top-quality service and professionalism to customers throughout Northeast Arkansas and the Missouri Bootheel. Whether you are a residential, commercial, or institutional customer, your satisfaction is our number one goal. We promise complete safety for your family and property while delivering the most advanced pest management services available. Our team of skilled technicians is equipped with the tools, techniques, and products to protect your property from pests year-round. Our Service Area. With two locations to serve you, we have customers in 17 counties. We serve Northeast Arkansas and the Missouri Bootheel, including Paragould, Blytheville, Forrest City, Wynne, Osceola, Corning, Pocahontas, Jonesboro, and West Memphis.